Perhaps it’s time for an eleventh commandment. Thou shall not peek at thy BlackBerry while thine priest is speaking. According to a 20-city survey conducted by AOL, 22 percent of people confessed to sneaking a peek at their e-mail devices during a church service. The survey asked people if their CrackBerry addictions extended into church and the responses were surprising. 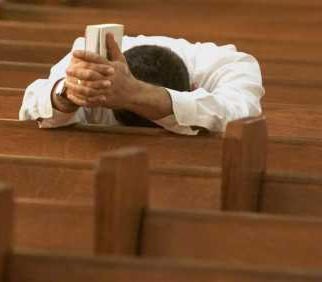 One of the main cities of the Bible belt, Atlanta, Georgia, turned out to be most addicted when it came to sneaking a peek during church services. Washington reported the most addicts, but they were a little more discreet when it came to playing BrickBat during fire and brimstone sermons. The cities with the most attentive church goers? Minneapolis, Tampa and Phoenix. Go figure. Perhaps priests and pastors should simultaneously e-mail their services to their congregations.